During the holiday season, you probably use Arm & Hammer Baking Soda for making cookies and other holiday baking. But did you know that baking soda has so many uses beyond cooking? When I started down my green living path five yeas ago, one of the first things I learned is that baking soda can make a great natural cleaner. Not only can you use it to clean up around the house, you can also use Arm & Hammer Baking Soda to tend to some of your personal care needs. With the holiday season upon us, baking soda provides an inexpensive and natural way to spruce up our homes and pamper ourselves while prepping for holiday guests. Check out these six tips. These household uses for baking soda will help you get your home ready for guests. Freshest Flavor - Be sure to keep an open box of Arm & Hammer Baking Soda in your refrigerator to ensure the freshest tasting ingredients for holiday entertaining. This is especially important when storing garlic, onions or fresh holiday herbs and spices, which will transfer flavors to more delicate vegetables, meats and cheeses in the fridge. Be sure to change the box once a month for optimal freshness. Food Safe Surface Cleaning - Clean your food prep area and tools with natural, food safe Arm & Hammer Baking Soda instead of harsh cleaners. Sprinkle Arm & Hammer Baking Soda onto a clean damp sponge or cloth and wipe clean, rinse thoroughly and then dry. Great for counters, stainless steel sinks, cutting boards, microwaves, wooden spoons, oven tops, range hoods and more. Freshen Upholstery - Before guests arrive, remove lingering odors for fresh-smelling upholstered sofas and chairs with Arm & Hammer Baking Soda. Sprinkle baking soda on upholstery, wait 15 minutes and vacuum up. Whether you are exhausted from holiday shopping and need something to relax you or you want to make sure you shine for family photos, these tips will help do the trick. Exfoliating Pedicure - Blend 2 tablespoons of Arm & Hammer Baking Soda in a basin of warm water. After a nice soak, make a scrub using 3 parts Arm & Hammer Baking Soda and 1 part water. Follow with an application of a rich moisturizer and a warm towel foot wrap. Let sit for 5-10 minutes. Feet will feel smooth and clean. Facial Scrub and Body Exfoliant - For smooth, radiant skin, give yourself a gentle facial and body scrub with Arm & Hammer Baking Soda. Make a paste of 3 parts Arm & Hammer Baking Soda to 1 part water. Consider enhancing the treatment by including 1 part ground oatmeal. Rub in a gentle circular motion to exfoliate skin and remove dead skin cells. (Be careful to avoid eye area.) Rinse clean with warm water. Leaves skin feeling nourished and refreshed. Gentle enough for daily use! Hair Care Help - Get rid of product buildup by sprinkling a small amount (quarter-size) of Arm & Hammer Baking Soda into your palm along with your favorite shampoo. Shampoo as usual and rinse thoroughly. The Arm & Hammer Baking Soda helps remove the residue that styling products leave behind so your hair is cleaner and more manageable. So what is my favorite way to use Arm & Hammer Baking Soda? 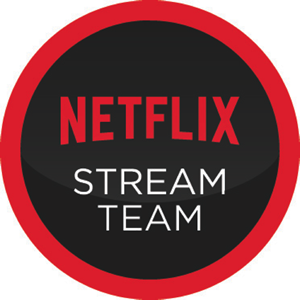 I would have to say I love using it to scrub the bathtub and shower. Soap scum is not fun to clean up, but the abrasiveness of baking soda really does it well. It is definitely one of my favorite ingredients for not only baking but cleaning as well. 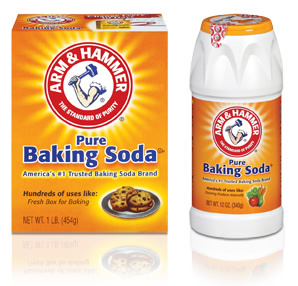 I always have at least 4 boxes of Arm &b Hammer Baking Soda in my house at any given time. One in each refrigerator, one in the pantry and one under the kitchen sink. What other ways do you use baking soda around your home? I wrote this review while participating in an Blog Tour campaign by Mom Central Consulting on behalf of Arm & Hammer and received product samples to facilitate my post and a promotional item to thank me for participating. I love the tip I found once abut cleaning tarnished silver jewelry. Place a piece of aluminum foil in the bottom of a bowl. Sprinkle with baking soda. Add your jewelry (or any other silver item. )Then add enough very hot water to cover all. Within minutes, the tarnish from the silver will be pulled away to the aluminum, leaving the jewelry easy to clean with a soft brush or cloth. I LOVE this tip! I have so much silver jewelry that needs cleaning and using my polishing cloth takes forever. I am definitely trying this. Thanks Beth! Arm and Hammer baking soda is a fantatic GREEN product to use. I use two large boxes in my DIY laundry soap plus one large box of washing soda. It's the best laundry soap on the planet. I had no idea there were so many other uses, though. Thanks for the fantastic tips. I can't wait to incorporate more Arm and Hammer baking soda uses in my household. I love baking soda! I stumbled.